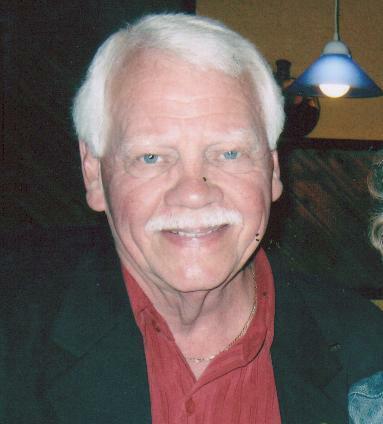 OSWEGO, NY – Orin Edward McIntosh, 79, a native of Oswego, and resident of Chesapeake, Va., died Thursday January 23, 2014. He was the son of the late Joseph and Ellen Williams McIntosh. Orin retired from Rollaway Bearing as a draftsman in 1978. He was currently president and owner of Door and Window Services in Chesapeake. He was a Roman Catholic and a member and usher of Prince of Peace Catholic Church. He was also a member of the Knights of Columbus, Council 8240 and its Fourth Degree. Orin loved antiques, especially fond of cars. He was a member of the Antique Car Club of Chesapeake. Survivors: loving wife of 59 years, Shirley Ann Knopp McIntosh of Chesapeake; his daughters, Mary Beth Burgmeier and her husband, David of Liverpool, and Julie M. Jackson and her husband, Ronald, of Virginia Beach, Va.; his sons, Christopher Williams McIntosh and Pearl Ibarra of Chesapeake and Colin Andrew McIntosh and his wife, Marji, of Perrysburg, NY; and sisters, Sally Spath of Oswego and Kathryn Rucynski of Parish. He was predeceased by: sisters, Jeanette Currier and Marsha Schaffer. He is also survived by five grandchildren, Jonathan and Barbara Burgmeier, Kriston Rabon, Chad and Natalie Jackson; two great-grandchildren, Hannah and Tyler Rabon; and many nieces, nephews and cousins. A committal service will be held at 2 p.m. Friday at All-Saints Mausoleum, St. Peter’s Cemetery, Oswego. Nelson Funeral Home has arrangements.